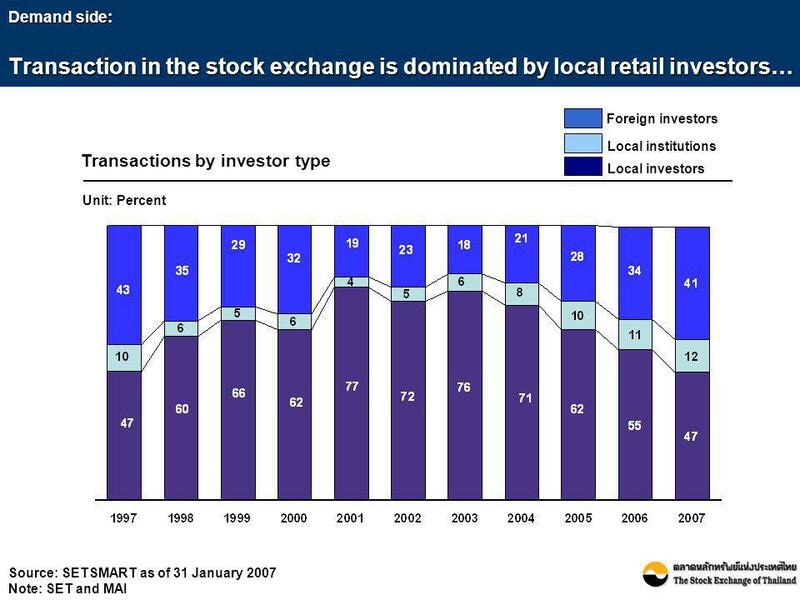 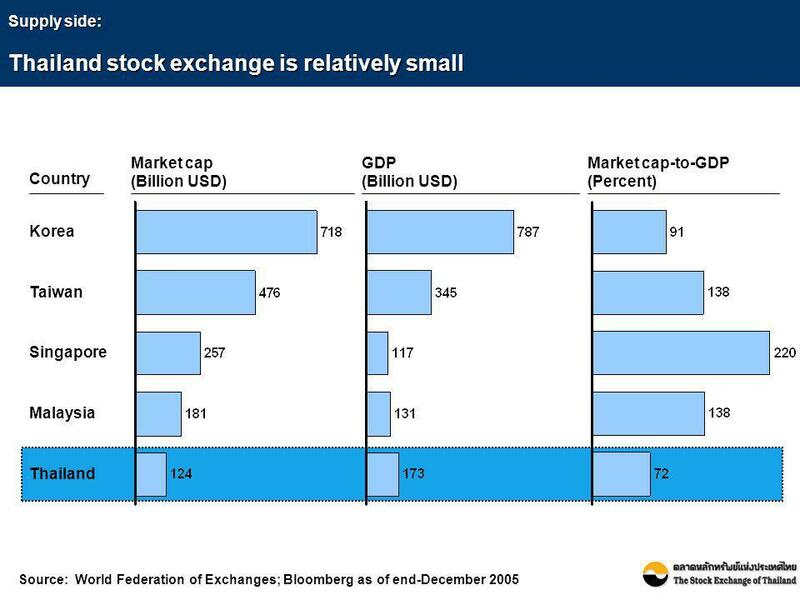 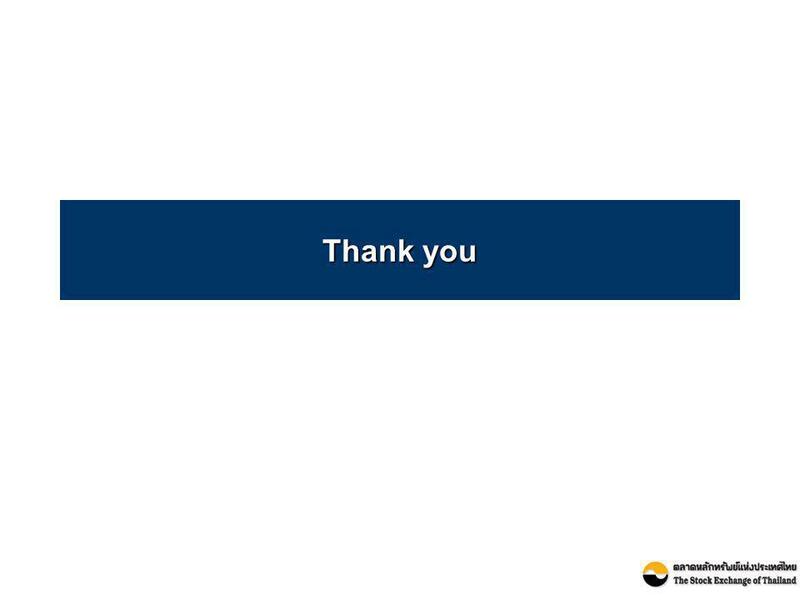 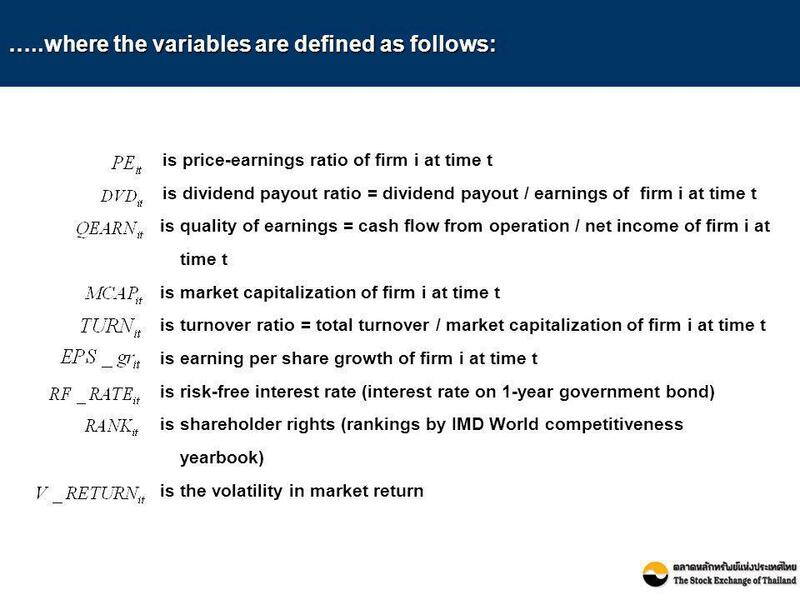 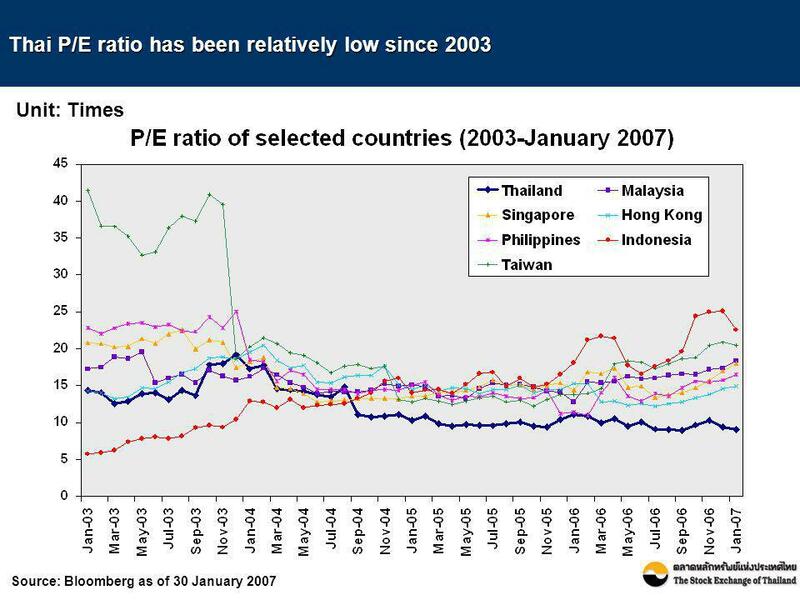 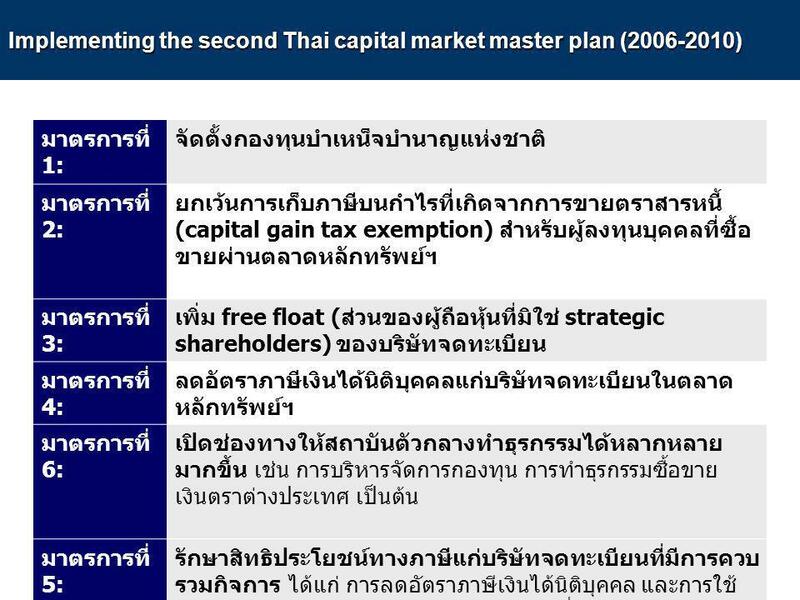 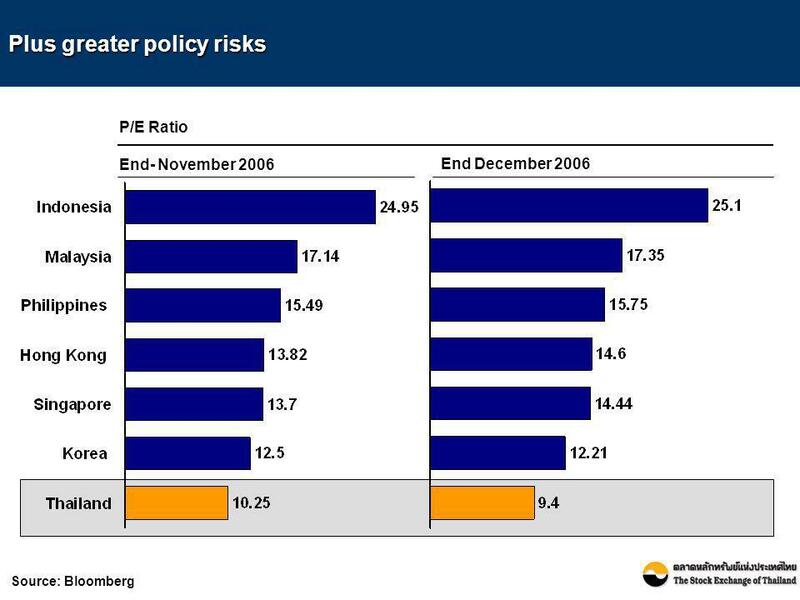 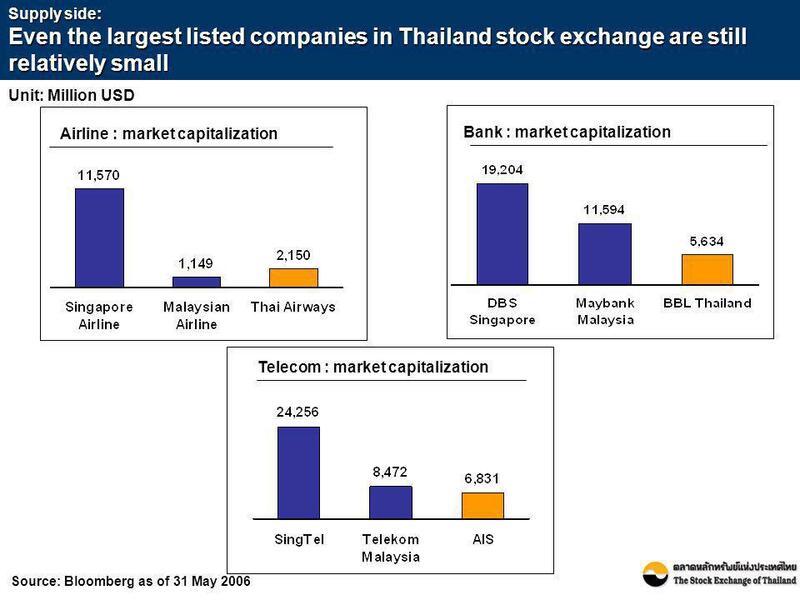 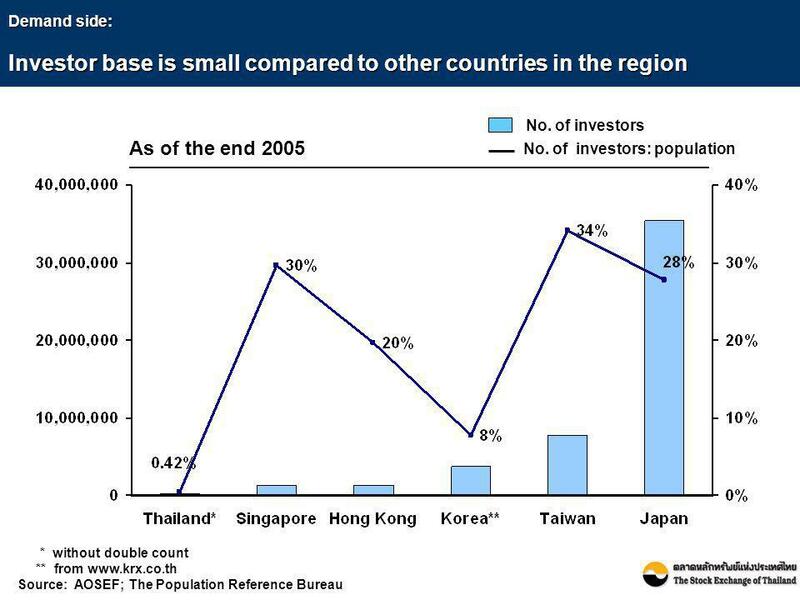 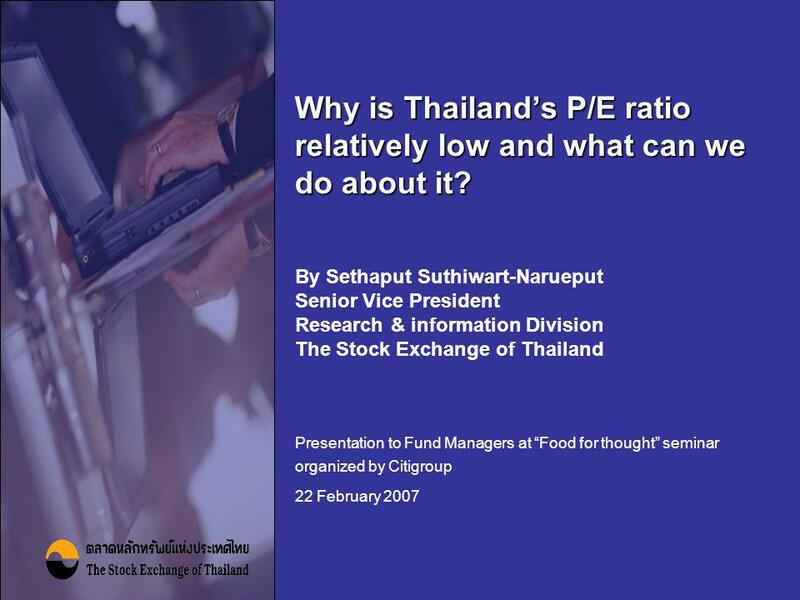 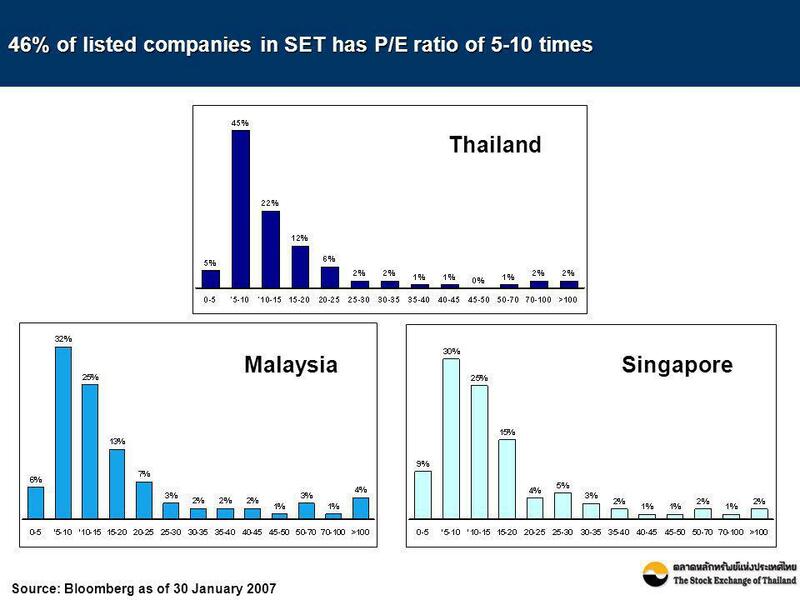 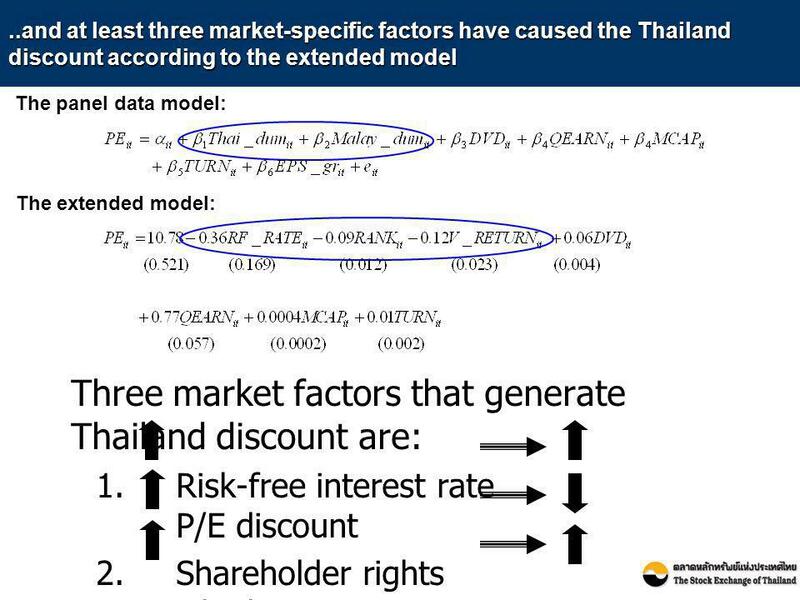 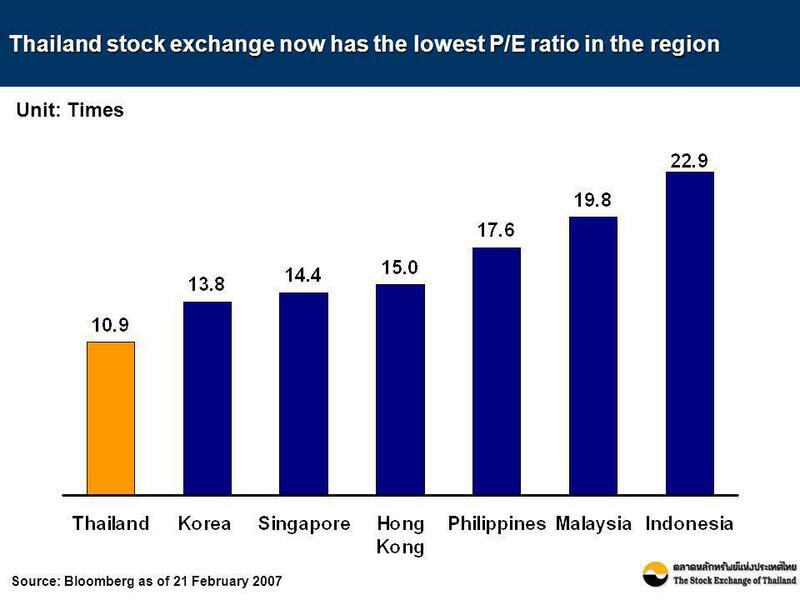 1 Why is Thailand’s P/E ratio relatively low and what can we do about it? 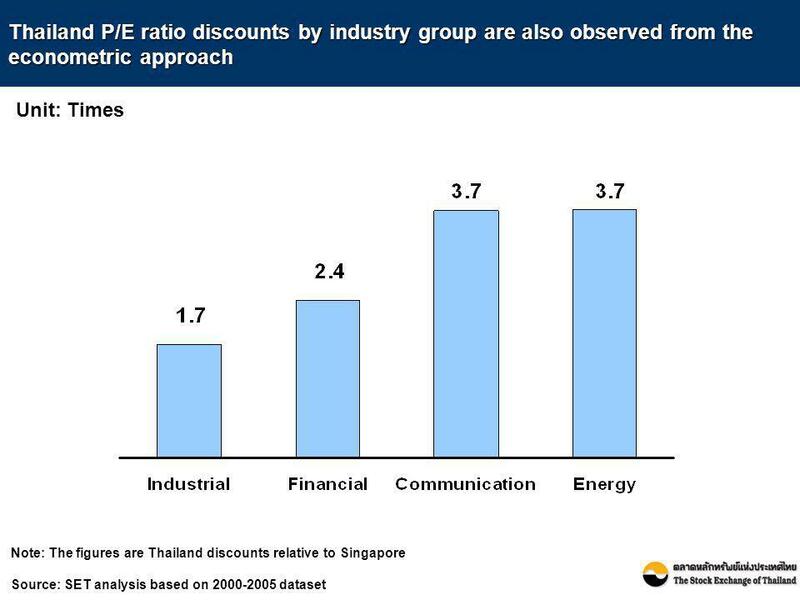 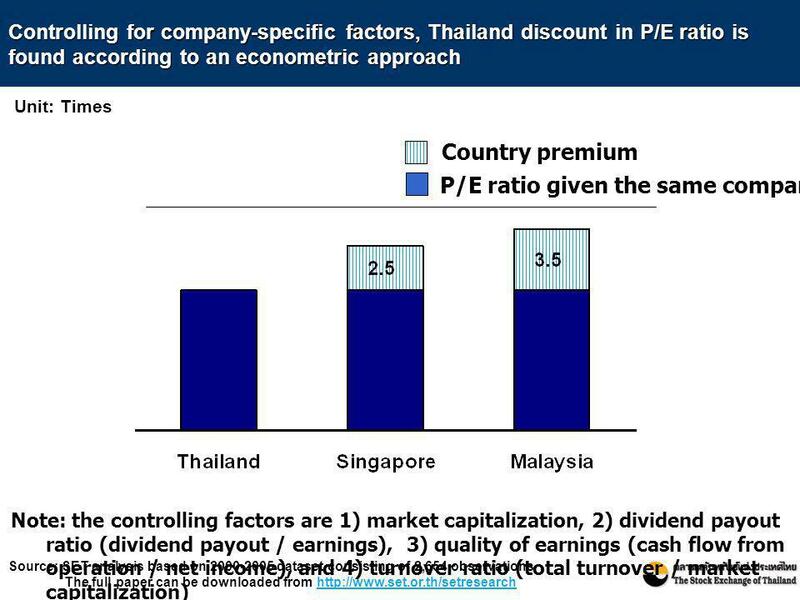 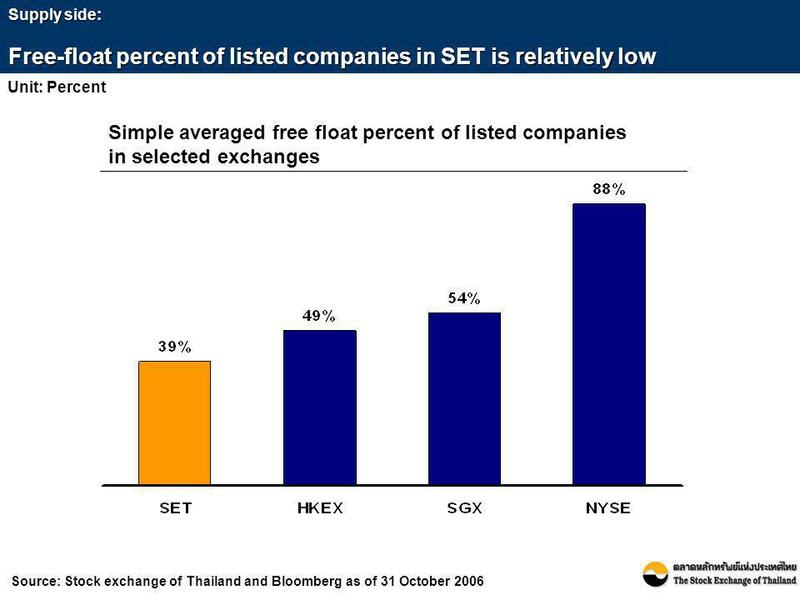 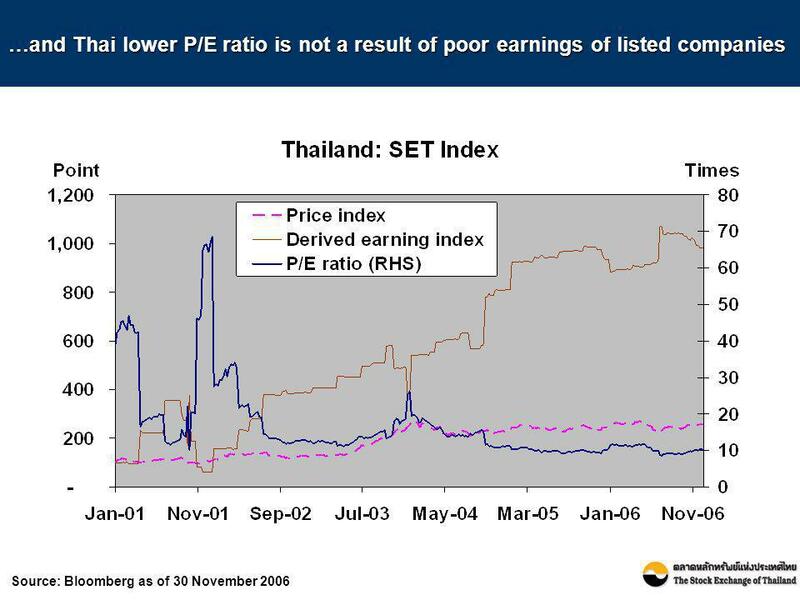 2 Outline Why is Thailand’s price-earnings ratio relatively low? 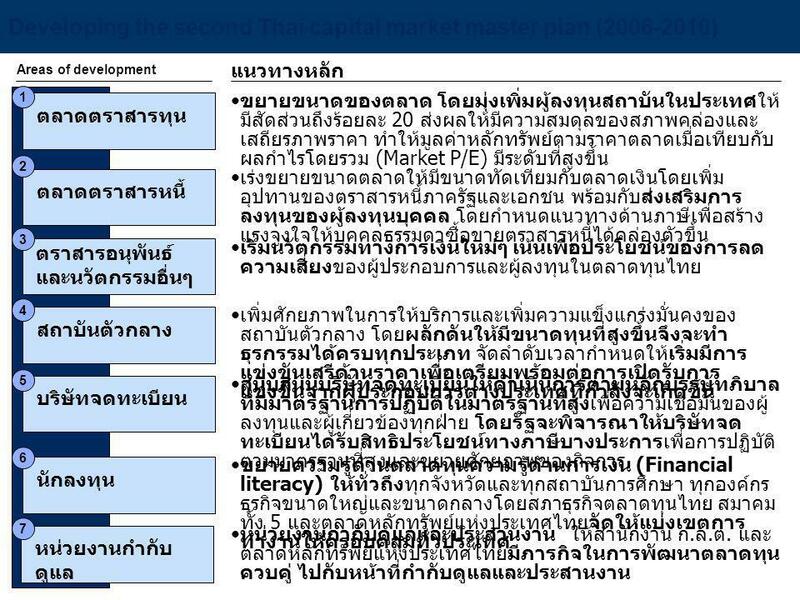 What can we do about it? 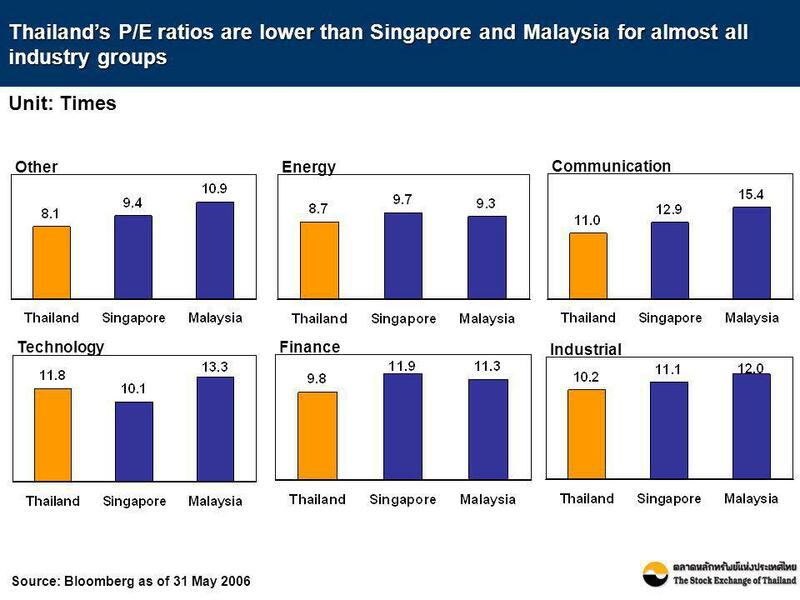 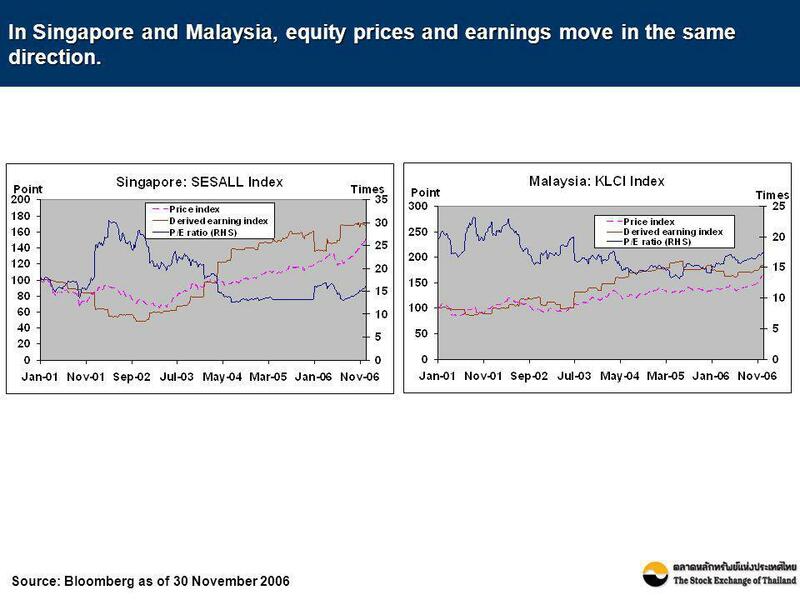 8 In Singapore and Malaysia, equity prices and earnings move in the same direction. 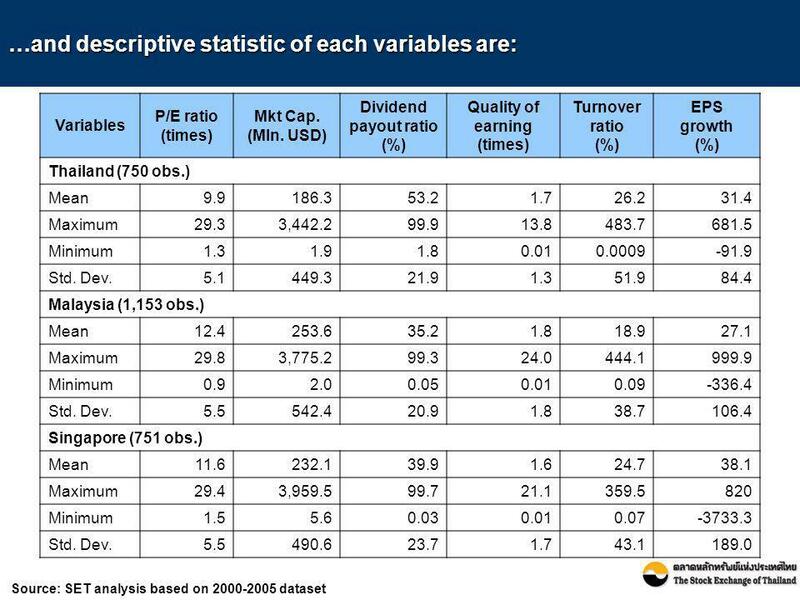 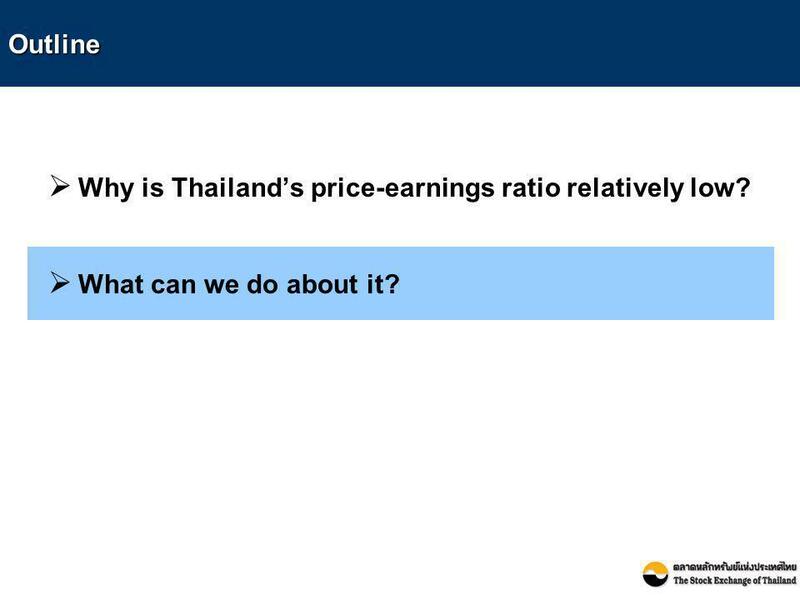 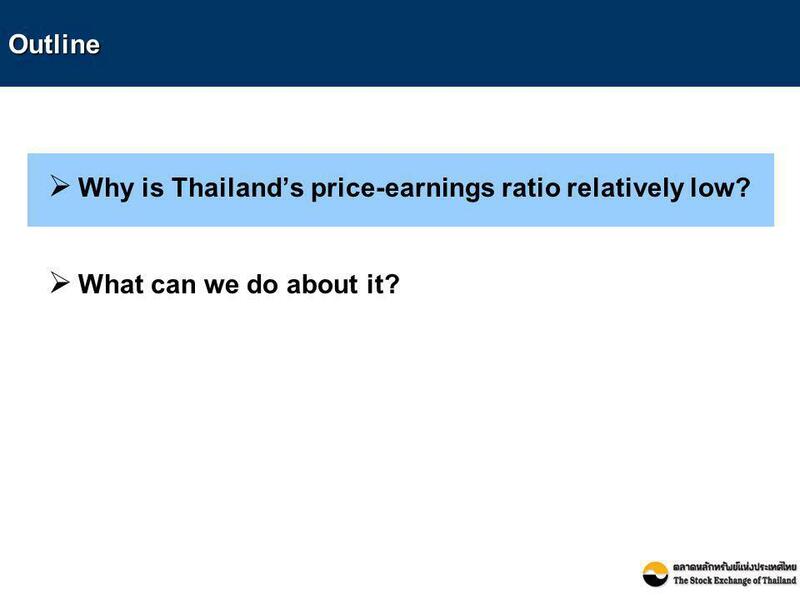 21 Outline Why is Thailand’s price-earnings ratio relatively low? 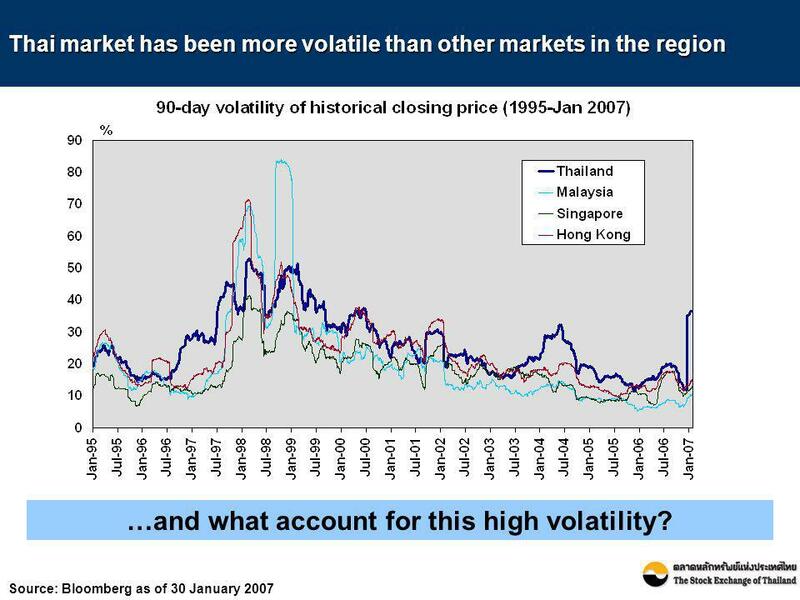 What can we do about it?